The real world can be a rude awakening. The alarm is going off. You wake up, put two feet on the cold floor of the bedroom and stumble over to the bathroom. Welcome to the real world baby! The 9 to 5 becomes the 8 to 6, throw in a lengthy commute and you have completed the rite of passage known as ‘The Rat Race’. As a young boy you may have played army, or cowboys and indians. My brother and I had a fort in the backyard and we were always scheming up ways to enact justice [mischief] all over the neighborhood. We loved the show CHIP’s and would drive around on our bikes like Ponch and Jon Baker. One day we successfully pulled people over in our neighborhood and blocked the alley from ‘intruders’… which was now a community of unhappy neighbors unable to reach their driveway. Somewhere in the mix we all grow up and face the reality of life. Some are forced to grow up early. They don’t have homes where a child safe environment is fostered. Others are fostered too long and leave college just as unequipped for the world as when they entered. Whether we are warmed up to it by parents that teach and correct, or we find ourselves confronted with a challenge and are forced to learn on our own, we all meet reality face to face. The reality that life is good, but it aint easy. Also that life is a journey, not a destination. That is something I have learned you have to figure out real quick. It is something the Israelites never really figured out. As they wandered through the desert they were constantly focused on the destination and not the journey. I am not going to be too hard on them, because walking through the desert not knowing where you are headed with only manna and quail to eat for 40 years would drive anyone crazy. But still, they had each other. They had community and fellowship, love and family. They had their needs taken care of, none of them had to work or cultivate the land. Most importantly they had the Living God in their camp at all times, His protecting and providing presence manifested day and night. Still they looked past the lesson. The meaning of life is to follow the Lord. That was the lesson. Wherever the Lord leads you… go, follow. And wherever you find yourself, that is where you are to be a light and witness. 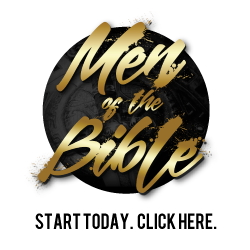 We need men to engage men where they are at. In the office, at their current job, community and watering hole. We aren’t to work towards retirement so that we can go into ministry full time, we are all in ministry full time. Use your cubicle as a missions base, not a premature grave. To some degree it is about the destination. Spreading the Gospel and message of Jesus so that those who do not know Him hear, receive, and accept the gift of life. Grace and salvation through Jesus Christ. Since our destination is secure, let’s focus on reaching those whose destination is not. Let’s go and be a witness.